When your car smells of rotten eggs, there is a clear cause. Your catalytic converter has gone out. This piece of your exhaust burns off excess hydro carbons within your emissions. This process is a very important part for passing any emissions test your car undergoes. However, sometimes it may become clogged or begin to operate at less than peak efficiency. When this happens, it is important to get your car serviced quickly, as this can cause wide spread and costly problems for your car and engine. Our ASE certified auto mechanics will replace your catalytic converter to get your exhaust system functioning perfectly. Call J1 Auto Repair today at (630) 932-4427 to speak with one of our experts about your auto repair needs in Lombard, IL. In order to function properly, this piece of your exhaust system needs regular long trips every so often to ensure it burns away produced and built up hydrocarbons in the system. To best keep your vehicle in shape, try and take a 15 minute highway trip as often as possible. This process will keep your converter clean and working well. At J1 Auto Repair, we endeavor to give you the best customer service in Lombard, IL. 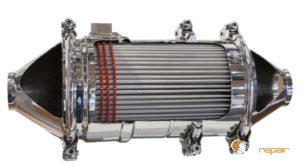 If you find you are in need of catalytic converter replacement, give us a call at (630) 932-4427 today. Posted on December 28, 2015 by J1 Auto Repair.